U.S. Environmental Protection Agency estimates that 77% of particulates from natural gas plant are dangerously small. These fine particulates have the greatest impact on human health because they by-pass our bodies’ natural respiratory filters and end up deep in the lungs. In fact, many studies have found no safe limit for exposure to these substances. Oddly though, I find little attention paid by this celebrity rich foundation to the massive expansion of natural gas production from shale fields in BC’s northeast. Apparently, the DSF leaves examination of these major energy projects to lower profile analysts. EnCana is constructing the massive Cabin Gas Plant 60 kilometers NE of Fort Nelson, to process natural gas from shale in the Horn River basin. The plant’s initial capacity is slated at 400 million cubic feet per day, twice as much as the province’s largest natural-gas processing plant. It is scheduled to double production in following years. Regular readers Of Northern Insights might be aware that Victoria power broker Gwyn Morgan, Vice Chair of BC Liberal mentor The Fraser Institute, is a Director of EnCana as well as other corporations doing business with the BC Government. Environmentalists note the huge potential for pollution arising from northeast BC gas production, compression and processing. Yet, despite substantial revenues realized by the provincial government in the area, little is spent to understand and monitor risks. The BC public has almost no capacity to enforce even modest production standards. We rely entirely on trust and, given the records of international energy companies, that is, at best naive. At worst, the situation is one more artful deceit by the BC Liberals. The Town of DISH Texas has virtually no heavy industry other than the compression stations. There is no other facility with the capability to produce the volume of air toxins present within miles of the Town. Fugitive emission sources of hazardous air pollutants emanating from the oil and gas sector include emissions from pumps, compressors, engine exhaust and oil/condensate tanks, pressure relief devices, sampling connections systems, well drilling (hydraulic fracturing), engines, well completions, gas processing and transmissions as well as mobile vehicle transportation emissions. Along with hazardous air pollutants (HAPs) and known carcinogenic compounds, air toxic compounds that contribute to smog formation were identified and are a known emission of gas industrial exploration, compression, processing and distribution. In the US, the Marcellus Shale formation is attracting attention as a significant new source of natural gas production. It extends from Ohio through West Virginia and into Pennsylvania and New York. The Department of Environmental Conservation of New York recently reported on environmental risks posed by natural gas production in the Marcellus Shale. It names 260 chemicals used in the drilling process called hydraulic fracturing. Read more at Pro Publica. Industry works to convince us that natural gas is the clean fuel and by comparison, it is, when burned. However, in addition to dangers from products of combustion, recovery and processing creates immense risks of airborne pollution and groundwater contamination. This is particularly true in gas production from shale where the use of horizontal drilling and chemical well stimulation technologies enable recovery. US Congress is considering a bill that aims to protect water resources from hydraulic fracturing, the process in which fluids and sand are injected under high pressure to break up rock and release gas. But the industry opposes environmental regulation as unnecessary. Meanwhile, federal EPA officials investigating drinking water contamination in Wyoming found that water wells contain a chemical used in the natural gas drilling process of hydraulic fracturing. Scientists also found traces of other contaminants in about 25% of fresh water wells tested there since March. EnCana, which has liability for most of the area’s wells is either supplying fresh drinking water to the residents or has purchased the land. The public comment period on the environmental assessment expired on August 21. Four, that’s FOUR, comments were received. Ignace Burke made the point that he and his family live only 5 km from the plant site, but that “nobody mentions that to you people.” Karen Campbell and Matt Horne of Pembina Institute submitted the only substantial comment. Thanks very much for this. It is very informative. It is interesting to hear industry say that natural gas is clean because when it burns, its products are carbon dioxide and water. They seem to forget that carbon dioxide is a green house gas. However the other pollutants from theses shale beds can be very poisonous. We have mostly used the easy to get natural gas, now the “natural gas” is much more difficult to obtain and other poisonous chemicals are released as well. The process is very energy intensive. It is interesting to watch the BC Liberals try to close down or reduce the use of the Burrard Inlet gas plant because it is too dirty and will compete with run of the rivers generators. Generators set up by their friends at a very high cost to consumers. 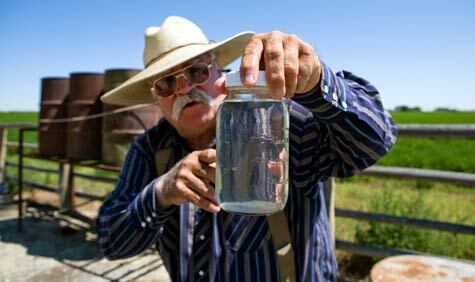 But then when the natural gas (methane mainly) is generated from shale beds, it is clean. For the BC Liberals, it just depends which friend is screwing us now.